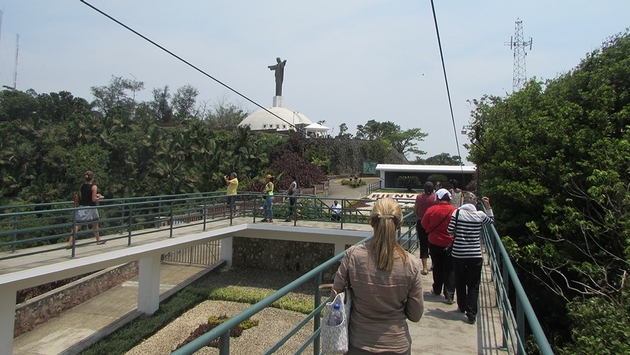 PHOTO: Puerto Plata’s Teleferico cable car. (Photo by Brian Major). Persistent rain storms across the Dominican Republic’s northern coast flooded streets, triggered landslides, damaged homes and collapsed bridges this past week, severing connections between the region’s smaller towns and the city of Puerto Plata, which had been enjoying a tourism renaissance. Local media reports say more than 30 inches of rain fell between Nov. 18 and 19, culminating two weeks of torrential rains that have displaced 21,700 residents and damaged more than 4,300 homes in the country’s northern region. In addition, other tourist centers including the Samana peninsula and the towns of Cabarete and Sosua have also suffered significant damage according to local residents. "From Altamira to Samana, the north coast has received non-stop rain for the last 12 days,” said Helen Richardson a longtime tour Dominican Republic tour operator and Puerto Plata resident. “National parks like Damajagua have been damaged severely,” she added. “Tourists have been in their hotels for two weeks with no sun and now the infrastructure starting to suffer severe damage. 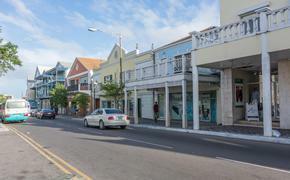 The Santiago tourist road is not passable, and Cabarete, Sabaneta and Sosua need double-checking before visiting, due to flood waters,” Richardson said. “Most boat, sailing, diving and snorkeling activities are now in their second week of cancellation." Operations at the Puerto Plata airport resumed on Nov. 18 after the facility was flooded by torrential rainfall and closed. "The situation at Gregorio Luperón International Airport in Puerto Plata is under control after the excessive rainfall caused an overflow from a ravine that affected the terminal," said officials at Aerodom, the airport’s management company. “Entire streets and highways made impassable, with several communities disconnected from the nearest city,” said Lily Girma, a veteran travel journalist and author of Moon Travel Guides’ Dominican Republic guidebook. Now based in Santo Domingo, Girma lived on the Dominican Republic’s north coast throughout 2015. “Major bridges have collapsed up north, including in Imbert, and [others are] still collapsing. People living in the poorest areas were being swept in ravaging sewage water,” she said. Dominican native and newly elected US congressman Adriano Espaillat will reportedly meet with president Danilo Medina Monday lead a group of elected officials bringing relief supplies to regions impacted by the relentless rains and flooding.